Baked Cinnamon Oats With Berries - I Am Proud Of My Kids! 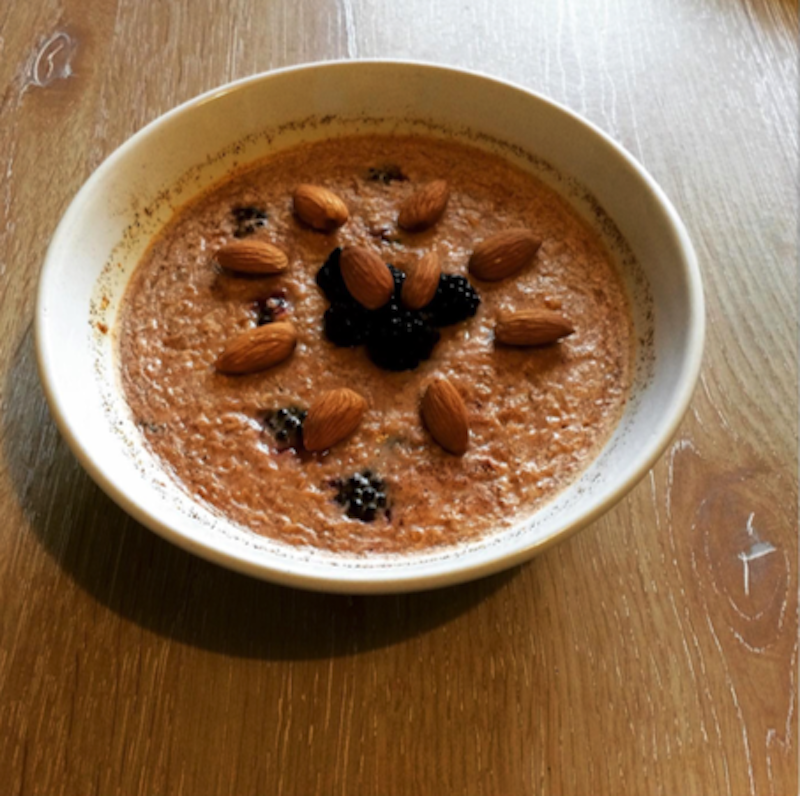 Mix oats, water, 10 blackberries, whey protein and cinnamon in a bowl. Cook oats in the oven for 8-10 minutes. Top remaining berries and almonds 2 minutes before the oats finish cooking (careful the bowl will be hot). Tip: For extra taste add other fruits, Greek yoghurt or seeds to top. Nutrition: 340kcal, 39g carbohydrates, 20g protein, 11g fat, 5g sugars. Be the first to comment on "Baked Cinnamon Oats With Berries"